Did you know that 52% of users are likely to change services if they do not get a personal approach? That is why modern business owners must add as much personalization to their services as possible. Luckily, modern web solutions such as machine learning provide many personalization options. Machine learning has come a long way from being just an idea for a sci-fi novel: it is the reality of our world today. There is no industry (IT or non-IT) where artificial intelligence cannot optimize the efficiency of business processes. It’s the same story with a marketplace business. Having appeared recently, it quickly became popular due to its convenience and universality: almost any offline business can be digitized via marketplace platforms. 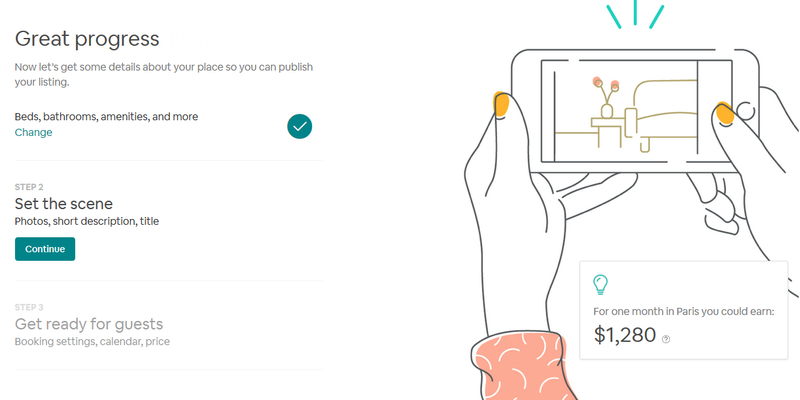 The idea of uniting the marketplace platform with machine learning algorithms has been widely adopted, including by big players such as Amazon, Airbnb, and Etsy. In this article, we will examine the use of machine learning in marketplace development, and find out where it is used. You will also learn about the benefits of applying AI technologies to marketplace businesses, and see how it was implemented by large companies. Personalization of search results, resulting in recommendations for users, is one of the most common ways to apply machine learning to a marketplace business. Through analyzing different aspects of the user’s behavior, the artificial intelligence algorithms can recommend goods and services that the user is likely to buy. Personal profile (such as location and interests). Search history (such as previous search results, and any applied filters). Clicks (such as which items were viewed, and which ones were added to the cart). The behavior of similar users (such as those from the same location, or with similar interests). The most popular items from this category. The more actively the user uses the platform (ie, looks for items or services, adds items to the shopping cart, buys items), the more precise information the system will have, and the more relevant options it will offer to the user. The first issue is particularly important for those selling unique items such as hand-made products or precious goods. If you are engaged in retail commerce or provide popular services (cleaning, taxi etc), it might be enough to just study the competitor’s offers and establish appropriate pricing. With handmade items, it is great that they are one-of-a-kind, however, they can be hard to sell, and it can be difficult for buyers to find exactly what they need. With regard to the second issue, there are many factors that influence final pricing, including the cost of the material, and the length and complexity of the artist’s work. The final price should not be so high that it discourages potential workers, but it should also not be too low for the artist to benefit. The suppliers should provide as much information as possible, and the marketplace should offer an advanced search system with a wide variety of filtering options. It’s the same story with apartment rental businesses such as Airbnb. All flats are different, and the rental price depends on location, season, flat conditions, whether you will live alone or share with the owner or other guests, etc. It can be challenging for the human mind to account for all factors and calculate an appropriate rental price. However, artificial intelligence can do this calculation in minutes. Later, we will discuss how AI can define a recommended price. Shared economy marketplaces are about trusting your valuable property (car, house, money, etc.) to a complete stranger. Acting as a mediator, the marketplace takes on the responsibility of ensuring the security of business relations between buyer and customer. There are many ways to secure your platform. One common method is a system of reviews and references. Everyone can read the references written by previous business partners and decide if it is worth dealing with this person. However, one disadvantage of this system is that even though it prevents recurrence of fraudulent incidents, it does not prevent fraud itself. This is where machine learning can help. The marketplaces build custom systems that predict and prevent fraudulent activities, and do not allow fraudsters to operate on the platform. They use transaction history, and information from social networks and other external sources. This allows the machine learning algorithms to detect anomalies in user behavior, and either restrict their operating on the platform or require additional verification. Machine learning can predict and prevent many types of online fraud, including payment fraud, fake listings, spam messages, account hacking, and duplicated accounts. According to recent research, within two years 85% of customer support will be handled without the participation of a live person. The intelligent chatbots powered by machine learning algorithms will be able to answer the most common user questions, and also track user behavior, etc. Human workers will only deal with unusual cases. The benefits of customer support powered by artificial intelligence are clear: business owners will no longer need to hire lots of human support specialists, pay their salaries, and pay for renting and maintenance of an office. The chatbot can communicate with hundreds of users simultaneously without impacting efficiency. Artificial intelligence will both increase the speed of work and eliminate human mistakes. 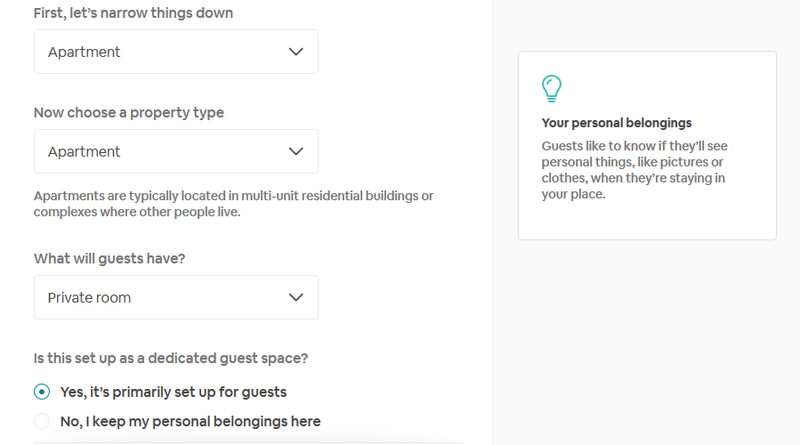 For Airbnb hosts, it can be particularly difficult to set a price for their apartments due to multiple factors which can impact prices: date, accessibility of the city center, public transport, the condition of the apartment, etc. They must also analyze existing demand and supply and set competitive prices in order to attract guests. 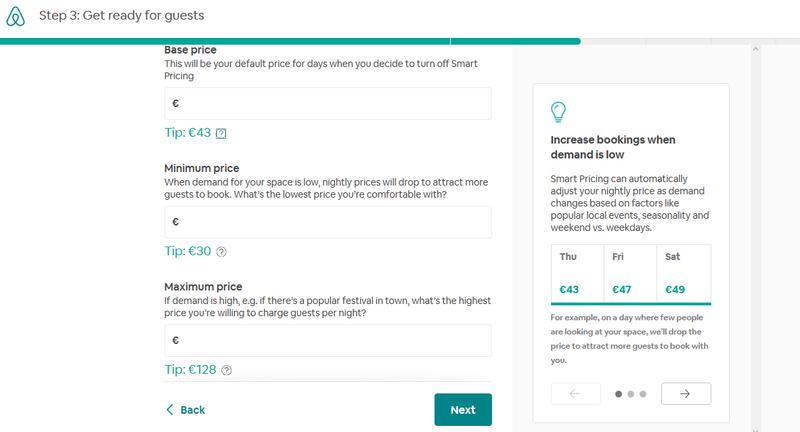 Airbnb’s machine learning engineers have launched a feature which can predict the likelihood of a particular listing being booked at specific prices on specific dates. It is a mathematical model that analyzes the demand and supply for those dates, and suggests a price in order to increase the chance of booking the apartment at the best price for the host. Let’s look at the procedure for listing a house on Airbnb and the factors that affect the rental price of the house. For testing purposes, we have chosen to rent a private room in Paris. 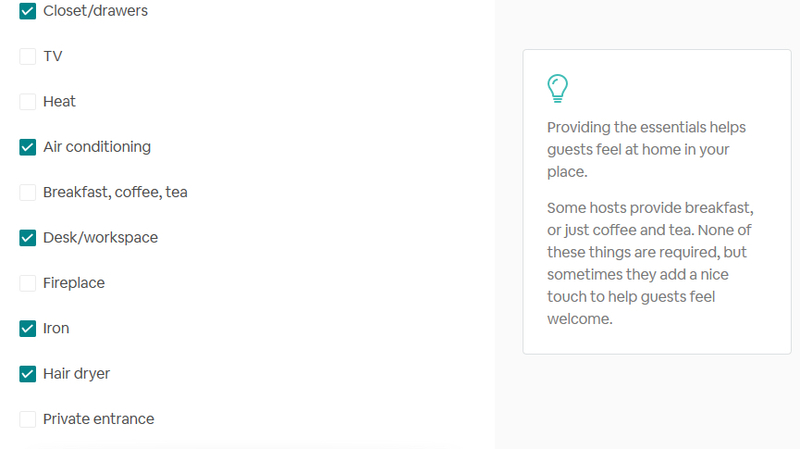 The host is ready to rent a private room with a queen-size bed and private bathroom. 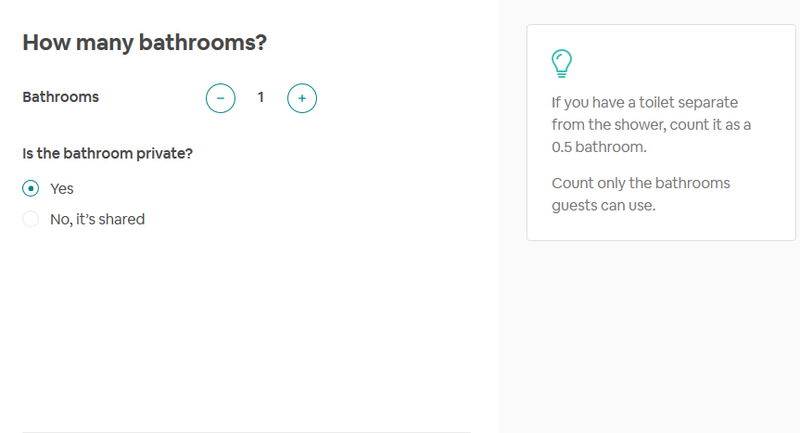 Then, the host is asked to choose the amenities that will simplify the guest’s life during the trip and help the property owner to justify the higher price. After entering the primary characteristics of the apartment, the system calculates the approximate earnings of the host. Thus, a private flat with a queen-size bed, private bathroom and basic amenities not far from the city center will earn about $1280 per month. 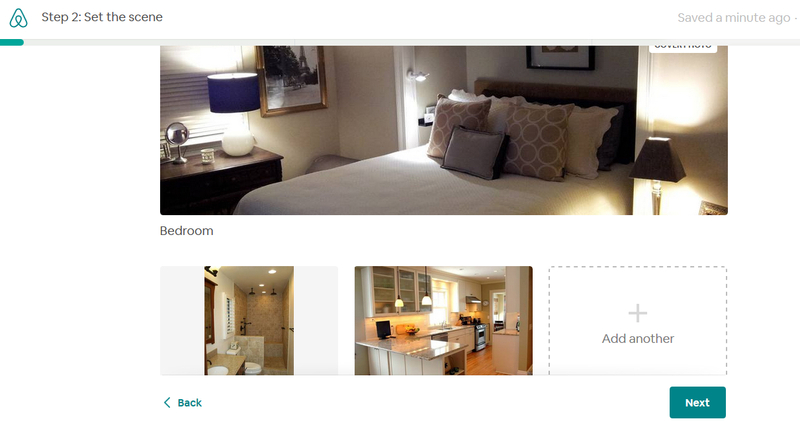 Then, we have uploaded the photos of the bedroom, bathroom, and kitchen, and added short titles and descriptions. Having fulfilled all the necessary points, we are offered a base price by the system. There are also variants of pricing for low and high seasons, which allow correcting the offer depending on the demand. You can choose the suggested price or set your own. 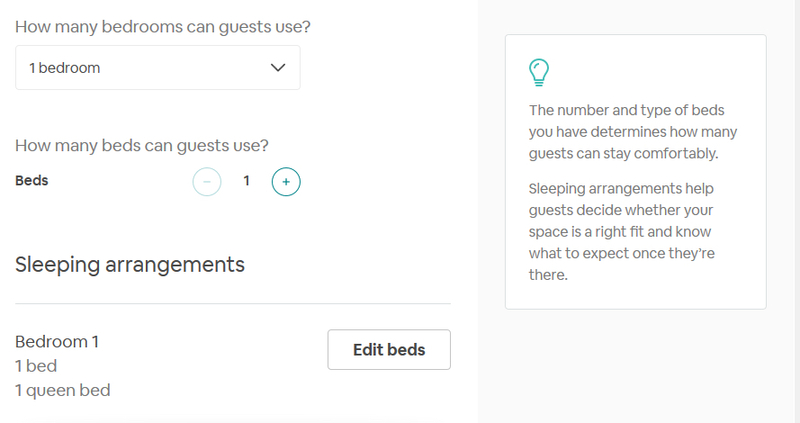 According to Airbnb’s data, the hosts who adopt the suggested price get 5% more bookings. Although Uber does not offer a unique price or services, they also face challenges with setting the price for their services. Their major challenges are low profit from some trips and low driver efficiency in peak times of demand when the requests become spread out and drivers make fewer trips per hour. In order to adjust the prices to both of these factors, Uber has developed a machine learning system. They have implemented a feature that predicts where the user is likely to go depending on the current location, time of day, and previous ride history. For a new user without a ride history, the system will offer the most popular destinations from this place at this time. Also, they have designed a solution that allows adapting the prices for different categories of users. Their route-based pricing system offers a customized price depending on the location – if the client orders the car from an affluent location, the price will be higher than for the same mileage from a poorer neighborhood. This helps the companies to regulate the demand and compensate the low-cost services. The job of a marketplace owner is to establish the best way of matching the buyers with the appropriate seller and to provide a smooth way of handling the transactions. However, if you want to gain more popularity for your product, these are not your only tasks. You also need to provide enough security for the users’ money and property, and prevent fraudulent incidents. But the main things that will bring your marketplace lots of users is the optimization of their business and helping them to earn more money. All these tasks can be solved by applying machine learning algorithms to your marketplace business. The algorithms will be able to match the sellers with the buyers, providing exactly the item or service they need. By analyzing the user account and previous behavior, the system will offer the relevant listings and help the user to save time when browsing through the listings, and bring the seller more clients and money. Using machine learning in a peer-to-peer marketplace can help you do this job in the most efficient manner. The machine learning algorithms are able to analyze all the characteristics of your offer and the ones of your competitors, and calculate the best price that will suit the buyer and bring more profit to the seller. It will also monitor the changes in the market conditions and offer corrections of your price in different periods (before the holidays, in the high season, etc). The participants of the p2p marketplaces trust their money and property to complete strangers, and they want to be sure about the level of protection. Artificial intelligence can analyze the behavior of each user and, if it seems suspicious, the account can be restricted and further verification can be required. Machine learning algorithms successfully prevent types of fraud such as fake listings, fake/duplicate accounts, spam activity, and suspicious transactions as well. Machine learning algorithms can be a base for intelligent chatbots that can provide immediate help to numerous users simultaneously and reduce the expenses of hiring human support specialists. We have also considered the way that the machine learning algorithms of Airbnb and Uber work. Hopefully, this will help you to use machine learning in your marketplace business. Do not hesitate to contact us to get further professional consultation.